It was November 1985. There was so much excitement around. All the members of SVYM wanted to celebrate our first anniversary. We all decided to do so on the 1st of December itself. Coincidentally it was a Sunday and we students did not have to miss our classes. We chose Thumnerale, the place where we were running our weekly clinic, as the venue. We now had to chose the guests for the occasion. Lawyer T.N.Nagaraj was the obvious choice as we were running the clinic in his farmhouse. When we met to invite him, he suggested that we invite Ms.Dakshayini, the wife of Late Thumnerale Sowkar (the local head of the village, as he was known) instead of him. He said that he was part of the organization and was the host. He also suggested that we invite Ms.Leela Channiah, a politician in Mysore who was the Mayor of Mysore for some time. We were hoping that she would support us in our venture. All of us felt that we needed a monk from the Ramakrishna Ashram. We approached Swami Veetamohananda of RIMSE, Mysore who promptly agreed. There was so much excitement at the function. All the guests arrived and the function started on time. Swami Veetamohananda had brought along with him a team of people to conduct bhajans and another elderly monk who sat quietly in the audience. He neither spoke nor did I go near him, as he seemed so stern. Something about him kept attracting my attention and I felt, rather strangely, that I had known this person for a long time. I went to RIMSE after a few days to thank Swami Veetamohanandaji for gracing our function. He asked me to join him for the evening coffee and there again was this old man. He sat with such quiet dignity and suddenly he did not look as stern as before. As if to answer the question in my mind, Swami Veetamohanandaji introduced me to him. 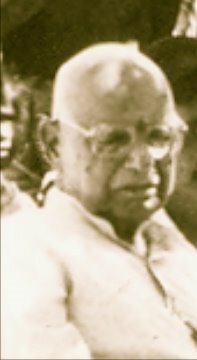 He was Swami Achalananda. He was known as Shrouti in his pre-monastic days and was an engineer in the Government then. As the Superintending Engineer of the erstwhile Mysore State, he had resigned as he could not bear to see corruption creep in. Just imagine, how he would have felt if he were to be alive today!! He was a disciple of Swami Yatishwaranandaji and was closely associated with the Ramakrishna Mission. At the age of 54, after his resignation, he decided to become a monk. He took sanyaas from Swami Chidanandaji of Divine Life Society. Because of his proximity to the Mission and his scholastic achievements, the Ramakrishna Ashram had permitted him to stay at RIMSE and guide the younger monks and brahmacharis. We started talking and I felt very comfortable in his presence. As I prepared to leave, he suggested that I visit him again. How was I to know that i would come to see and spend time with him every single day till his passing away in 1990!